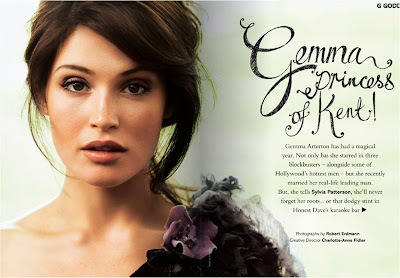 This month's Cosmopolitan features Gemma Arterton on the cover. The spread includes her Tamara Drewe co-star Luke Evans. Gemma looks stunning in the spread in her magenta dress, but the black and white images are more effective- I really like the photo montage. I cannot wait to see The Disappearance of Alice Creed and Tamara Drewe when they are released onto DVD, with a Clash of the Titans sequel also in the works.